Film and television producers will be able to send hours of footage, including high-definition movies, in a matter of minutes, after BT today announced a new collaboration with Aspera, IBM's content transfer company. The new service, called BT Media Move, will send huge media files more than a hundred times faster than traditional FTP/HTTP file transfer software. The deal, which was announced at the National Association of Broadcasters Conference in Las Vegas, will be delivered by BT's Media and Broadcast arm - which will launch its BT Media Move service later this month. BT Media Move is managed from the iconic BT Tower in London and will allow users to send huge media files to anyone in the world via a web portal based on Aspera's FASP&trade; (fast, adaptive, secure, protocol) technology. FASP encrypts the files for security purposes so that they can be sent over the open internet or through BT's high-bandwidth Nexus and Global Media Networks, which are designed especially for the creative media industry. When BT Media Move is used over the BT Nexus Network users will get transfer speeds up to 70-100 times faster than they could over the TCP (transmission protocol control) Internet and there are no restrictions in file sizes or quantities a customer can send or receive, with contract commitments starting at 5TB per year. Jonathan Wing, Head of Sales at BT Media & Broadcast said: "The media industry wants to move on from lengthy transfer times and being stuck with files that are too big to email. They also have concerns about the security of their content when they send it from A to B, so BT Media Move offers a fully managed service that eliminates these problems. "Producers will be able to update and send files within a matter of minutes, without the need to build onsite or cloud IT infrastructure of their own- allowing them to concentrate on what they do best, creating compelling content not staring at the clock waiting for a file to arrive." Michelle Munson, CEO and co-founder at Aspera, said: "We are excited to announce this service in collaboration with BT, which will enable media producers to achieve the fastest transfer speeds while maintaining the security and reliability they demand. "By combining the high-capacity Nexus network and premium services offered by BT with the unmatched performance of Aspera's FASP transfer technology, BT Media Move equips users with the tools and resources needed to collaborate with teams worldwide." 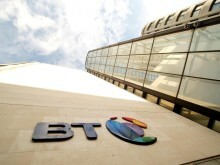 BT Media Move is a subscription based service with contract commitments starting at 5TB/year. BT Media & Broadcast (M&B) is the digital media and broadcast services arm of BT Wholesale. All of the UK's digital terrestrial TV is underpinned by M&B's specialist media network, whilst it is also responsible for delivering outside broadcast services from over 150 sports and news locations around the UK. M&B's global media network links every major location around the world where broadcast or film content is created or distributed. Aspera, an IBM company, is the creator of next-generation transport technologies that move the world's data at maximum speed regardless of file size, transfer distance and network conditions. Based on its patented, Emmy,award-winning FASP,protocol, Aspera software fully utilizes existing infrastructures to deliver the fastest, most predictable file-transfer experience. Aspera's core technology delivers unprecedented control over bandwidth, complete security and uncompromising reliability. Organizations across a variety of industries on six continents rely on Aspera software for the business-critical transport of their digital assets. Please visit http://www.asperasoft.com and follow us on Twitter @asperasoft for more information.